I like dragons, but it’s best if the scales remain on them, don’t they? Unless you’re actually trying to look like a mythical creature or a reptile, you wouldn’t want to see dry scaly patches on your own skin. Guys, please moisturize. It helps your skin look healthier and prevents cold burns. Winter is the season we even think of lotions. You can get out of it during the summers, but during the winters, it’s not the prettiest sight to witness. We tried and compiled a list of lotions that will keep you hydrated all winter. We, here at StyleCraze, have people with various skin types and preferences so you this will probably help you relate much more. This is what we have to say about the moisturizers available in the market. My skin type: I have a combination skin. While my face gets oily too soon, my hand and body remain dry most of the time. I dread winters as my skin gets scaly and itchy. After using it day and night, I found that Jergens only works for day moisturizing. Although I like the texture and the mild scent, Jergens isn’t long lasting. Olay, on the other hand, makes your skin softer and lasts over eight hours-the reason why I use it in the night. The shea butter certainly makes your skin feel smooth. If you are using Jergens, then do carry the bottle wherever you go as you need to reapply every two hours. Final verdict: Olay is best for winter care. My Skin Type: Being a girl from the sea-side, I never knew what dry skin was until I moved to a dry place. My skin, that otherwise seemed healthy and hydrated became dry and flaky. I would scratch my skin all the time, more so with the onset of winters. At the outset, I absolutely love the subtle fragrance that lingers throughout the day. It feels fresh and rejuvenating. The product itself is thick and creamy; therefore it lasts all day. Its effect does fade out by night, but I prefer it that way so that my skin gets some time to breathe. The lotion has Cocoa Butter that is known for its moisturizing properties. It heals the skin and prevents it from cracking and drying. Cocoa butter is also loaded with antioxidants. 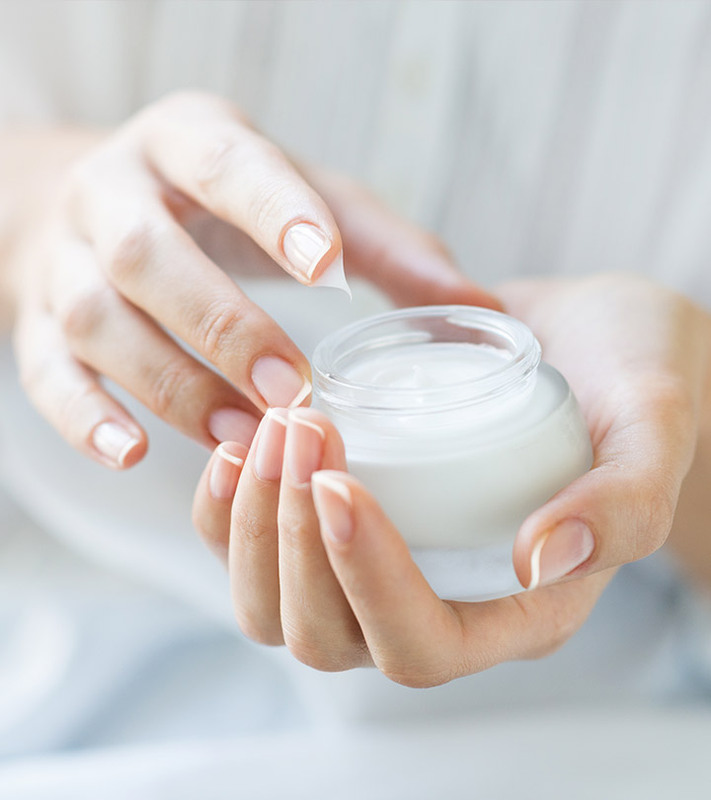 This moisturizer also contains wheat germ oil that is a great source of Vitamin E. It helps to nourish the skin from within while boosting its elasticity. Although it is a heavy lotion, it doesn’t feel greasy. The skin absorbs the product in no time. It is perfect when the weather is cold and dry. A quick tip to ensure maximum moisture retention—I apply the lotion immediately after my bath, when my skin is not completely dry. The skin is most receptive to moisture at this time, and therefore, it ensures maximum absorption. 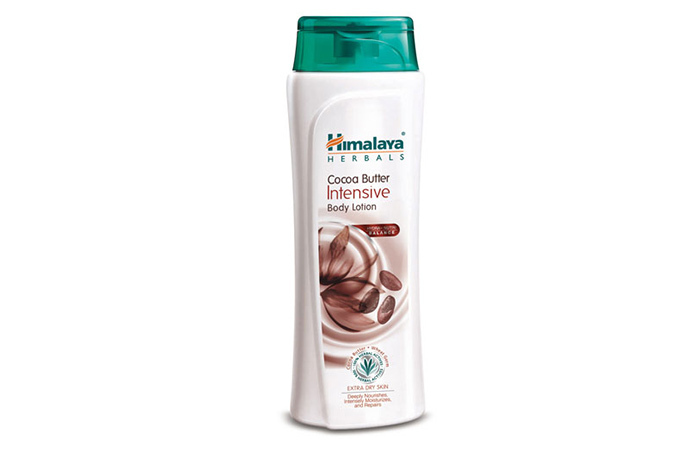 Final Verdict: My skin remains soft and supple all through a winter day with Himalaya’s Cocoa Butter Intensive Body Lotion. My Skin Type: I’m the unfortunate owner of skin that works in extremes. It’s super-oily (with an ugly shine that reflects light) in summers, remains combination during spring and monsoon, and gets as dry and dead as the weather outside during the winters. 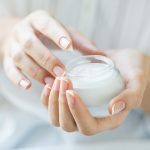 I try and look for a moisturizing cream that can suit my skin all through the year, one that is quite handy and affordable. Nivea has been my trusted alliance since the first time I was introduced to it. I was 19, and a little paranoid about choosing one from a range of brands suggested to me. So, I went for one of the cheapest, and I regret nothing. 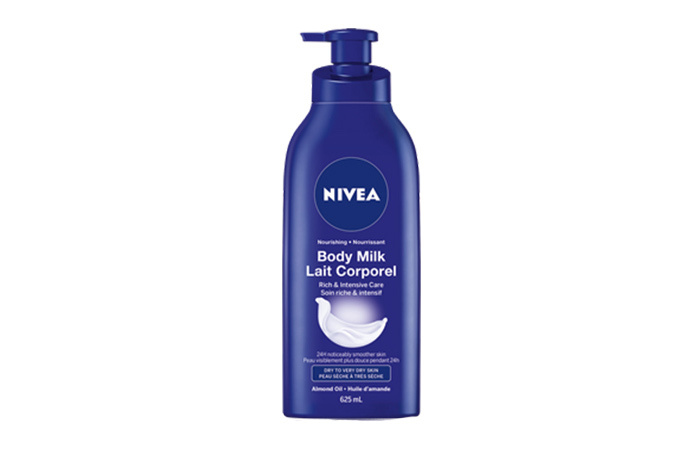 Even though Nivea Body Nourishing Milk is cheap (at least compared to its competitors) it falls nothing short in effectiveness. Believe it or not, it works for all my skin avatars—from dry to oily, leaving me with a smooth skin soft as a baby’s bum without any overwhelming scent (exactly the way I like it). The only downside to this amazing lotion is its duration—it doesn’t stay longer than 8 to 10 hours, which is okay for me, but might be a concern for others. Otherwise, this product has never let me down in the past 4 years, and I hope our association remains so forever. Final Verdict: Nivea Body Nourishing Milk is the best for those who have a skin type like mine, so check it out! My Skin Type: From having a normal to dry skin, my skin is transitioning to the combination type. My T-zone gets oily during summers and winter is for dry, flaky skin. The skin on my body is normal to dry, with dryness and itchiness happening in winters. Forest Essentials or The Body Shop? 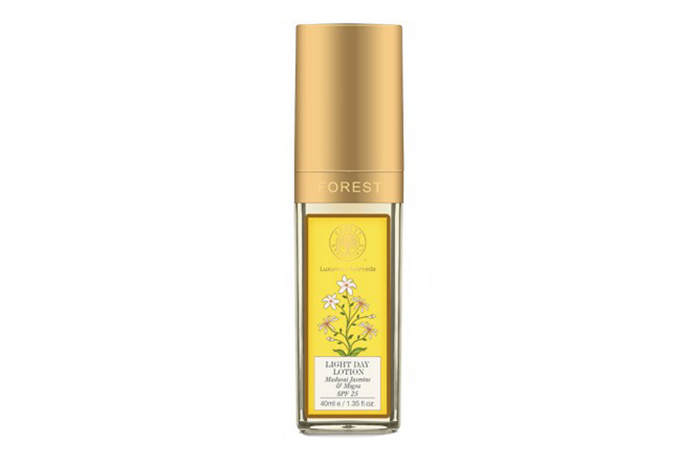 The fragrance of the Forest Essentials lotion is just heavenly—so refreshing and calming. When I first had a whiff of this lotion, I was a little taken aback as initially; it feels very overpowering. Once I applied it after taking a shower, I felt like a princess who had just bathed in jasmine water. Application and absorption take a while as it is a rich lotion and skin hydration lasts for a couple of hours. The Body Shop body butters are famous for their incredibly nourishing and hydrating properties. The same applies to the Honeymania Body Butter. The fragrance is subtle and comforting. It takes a while to get absorbed into the skin, though. Compared to the Forest Essentials lotion, it is more nourishing for the skin and the hydration lasts longer as well. Final Verdict: To be honest, I love both the body lotions. I use them alternatively during the winters, depending on my mood. For normal to dry skin, both the lotions work well. However, I would recommend The Body Shop body butter if you have very dry skin. My Skin Type: Normal for most of the year. But come winter, and my whole body starts scaling up like a snake. Holy crap, this moisturizer ticked all my boxes for the perfect lotion. I’m the kind of person who lets her dry skin scale and flake because I hate the greasy sensation left behind by lotions. So I was pleasantly surprised when I used the Vaseline moisturizer. First up, it’s completely non-greasy, the way it promises to be. It is also very lightweight and is absorbed by your skin within a couple of minutes. 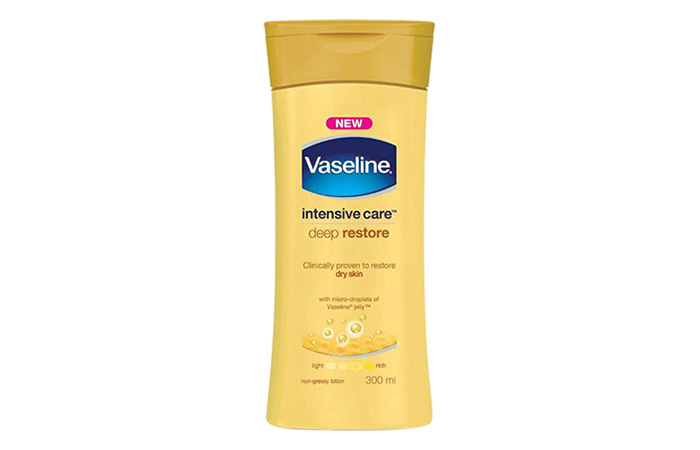 And because it contains micro-droplets of Vaseline jelly, it does provide quicker moisturization. My skin felt healthy, soft, and supple after just one use and stayed that way for the next two days without reapplication (I got lazy :P ). So, I would recommend using it every day to get the best results. Final Verdict: Go for it. And thank me later. 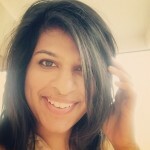 My Skin Type: I have dry skin that gets dehydrated and scaly during winters. I usually up my moisturization game during this time. I end up applying lotion before bed as well, apart from the usual after shower ritual in the mornings. It absorbs into your skin really well and locks in the moisture for a long, long time. I think that works well for moisturizing waist down, especially during winters under tight denims. It keeps your skin hydrated and soft. Final Verdict: It’s a light formula that does a good job at hydrating your skin. It leaves skin supple when left in through the night. I like that the size of the 100 ml bottle, makes it convenient to carry to work or leave it on your desk. My Skin Type: My face is oily, but I can’t say the same for my body. It requires some lotion, especially in the winters when I can’t go on without a good moisturizer. Bath And Body Works or Aveeno? If you haven’t realized already, anything by Bath and Body Works is going to make you happy if you are an appreciator of smells. Yes, I just said that and if you haven’t walked into a Bath and Body Works store, let me paint you a picture. Imagine the doors opening and an explosion of heavenly scents enveloping your body. They come up with such brilliant products; you definitely have to check them out! The Ultra Shea range works best in the winters as they are more moisturizing. Aveeno is best suited for those who want to get the job done without anything extra. 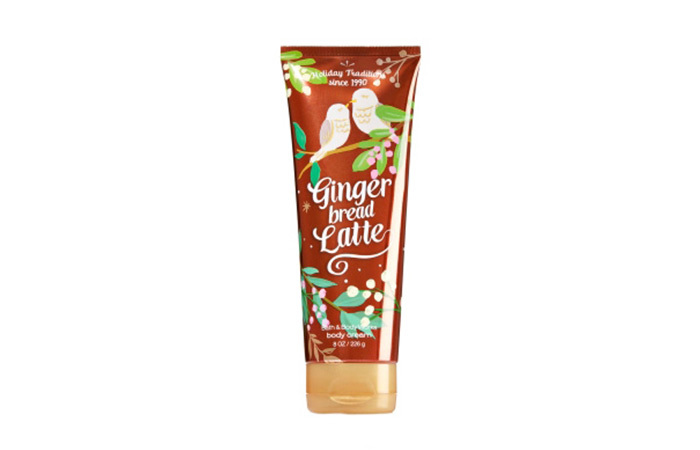 This lotion is fragrance-free and is an excellent choice if you have extremely dry and sensitive skin. It helps to relieve any itching that comes with the dryness. I found that using this for my feet made my skin in those areas look so much healthier and brighter. Final Verdict: If you like the fancy luxious smelling stuff, then anything by Bath and Body Works is probably your thing. 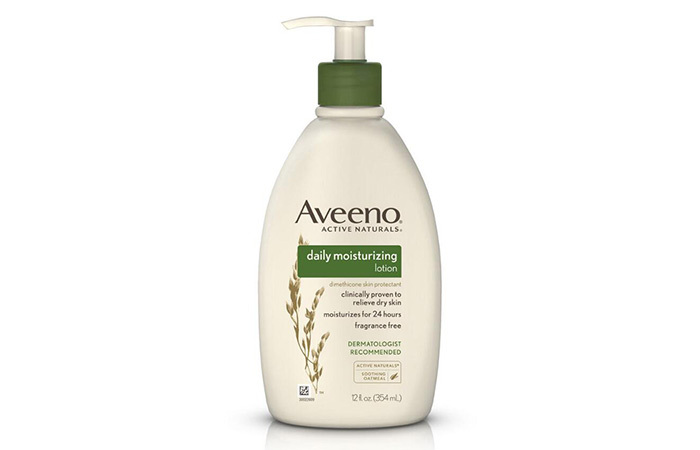 Aveeno is a simple product and gets the job done efficiently, and you don’t have to worry about its scent. Well, there you go, a list of the best lotions for winter- tried, tested and approved! As mentioned before StyleCraze comprises a broad range of skin types and individual interests. Each of us has pointed out our favorites so that you can figure out where your interest lies and pick that one! You wouldn’t get such a detailed run-down anywhere else. You heard it first here folks! What Is My Skin Type? How Do I Know?